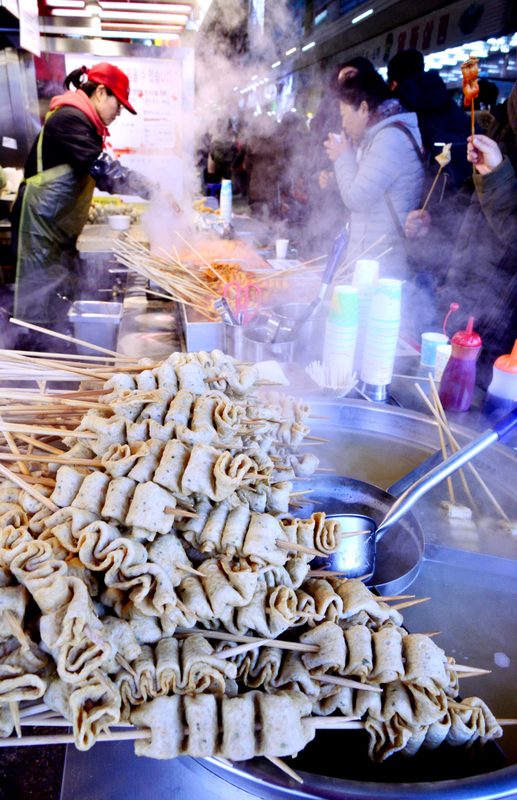 As the icy wind blows in winter, there is nothing like street snacks to shake off the cold. 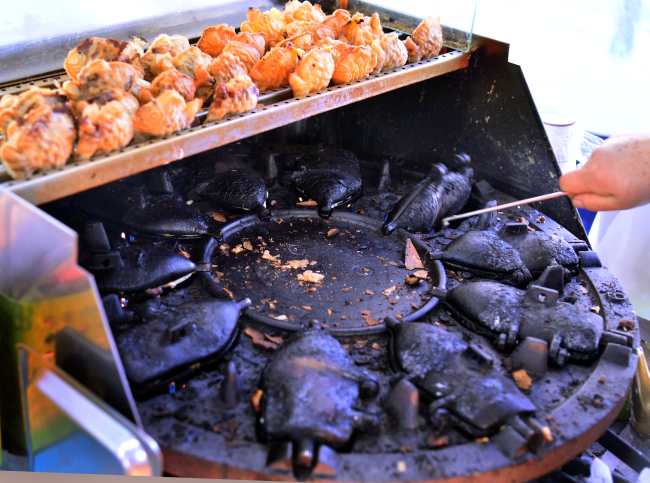 From roasted sweet potatoes and bungeobbang to egg buns and fish cakes, these snacks can be spotted at street vendors in winter. While waiting for a bus, take a moment to grab a fish cake and sip hot broth to warm your body. 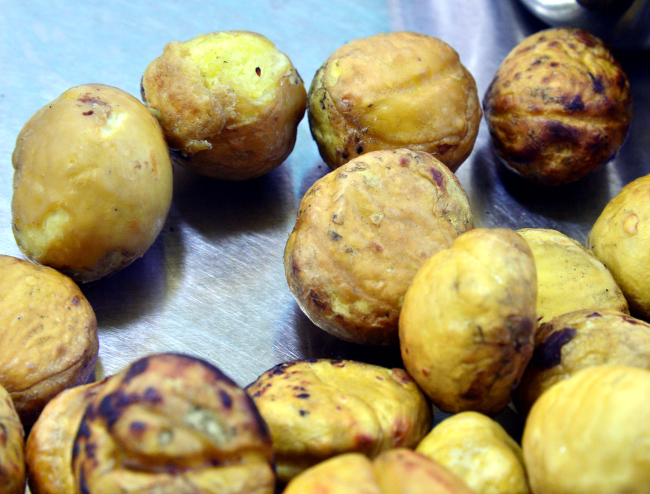 Roasted chestnuts and sweet potatoes are all-time winter favorites for Koreans. 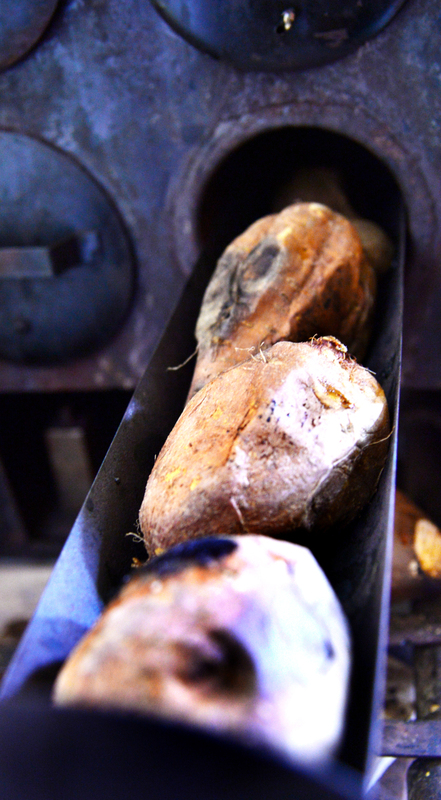 Inside the almost-burnt-looking peel is yellow sweet potato that makes your mouth water. 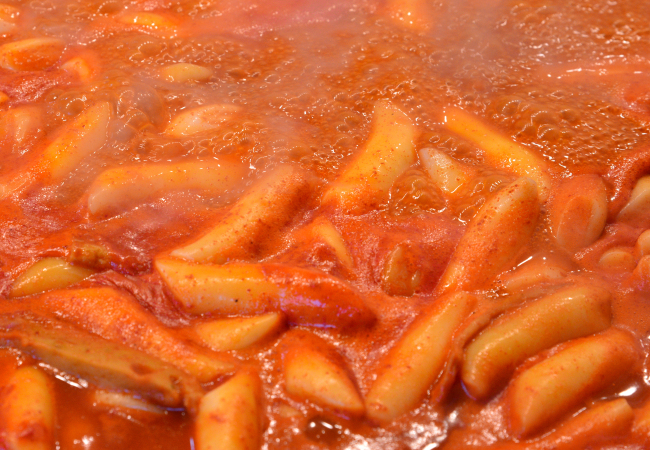 For those who wish to enhance the sweetness of a hot sweet potato, eat it with kimchi. 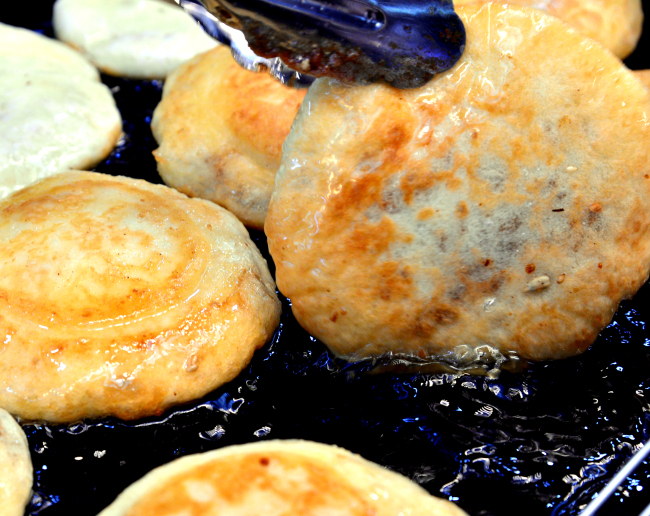 Fish-shaped buns with red bean paste, or bungeobbang, is another popular street snack in this season. They are crisp on the outside, with sweet paste on the inside. Nowadays, there are also those filled with custard cream. There is also a similar snack made in the shape of chrysanthemums. Another all-time favorite is hotteok, or pancakes filled with brown sugar. 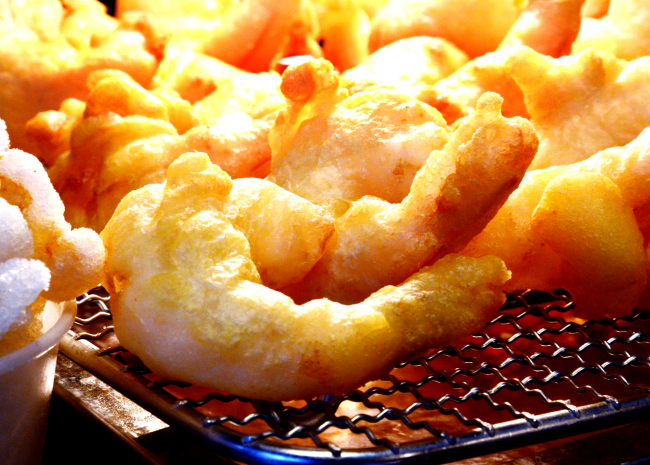 The dough that holds the sugar inside is pressed into a round shape on hot oil. 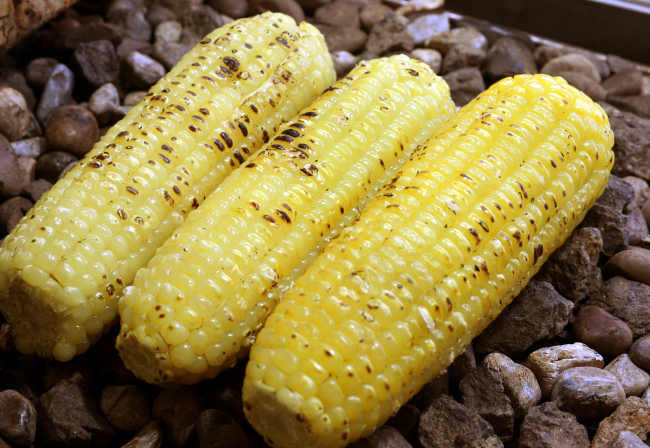 Taking a bite into hotteok makes you forget the cold. For the winter snacks, don’t forget to carry cash with you.